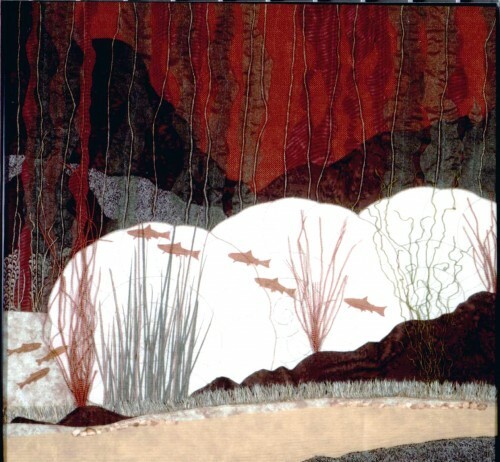 Alison is a landscape artist, â��paintingâ�� pictures with fabric. She has a passion for fabric, colour and texture, and uses a wide variety of fabrics from heavy upholstery to simple cottons, silks and netting to achieve the shading and feel of the earth, trees, sky and ocean. Although her pictures are mostly imaginary, and from time to time she uses sketches or photographs, much of her inspiration comes from a large colorful collection of multi-textured fabric. She gives herself complete freedom to go anywhere she chooses and create whatever inspires her. 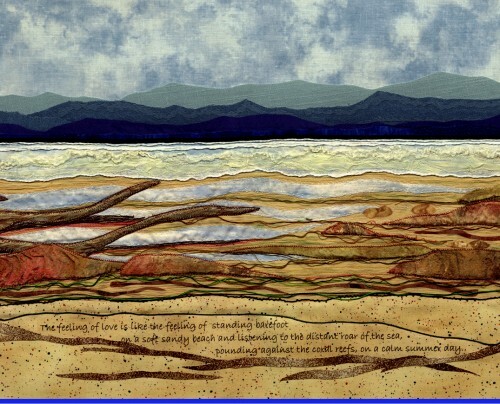 Alison enhances her art with machine stitchery for detailing, embroidery for subtle lines, and adds paint and/or crayons to add drama to skies, lakes and rivers. 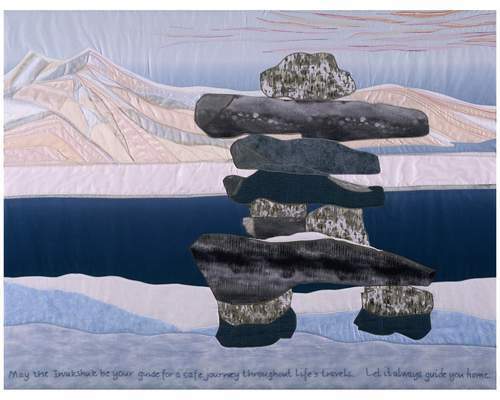 Alisonâ��s art demonstrates her love of the outdoors and the joy of being a West Coaster. She has lived in B.C. 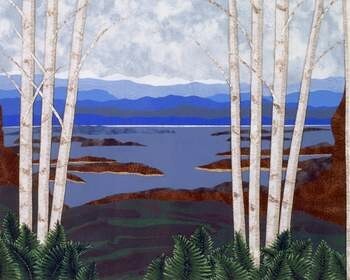 for over thirty years and has sold her art in Canada, the US and Switzerland. Alison has won several awards for her art and donated many pieces to charity. 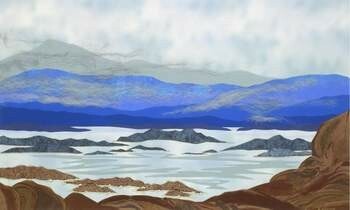 She has also given hands-on demonstrations of her work on several occasions and has exhibited on Vancouver Island at the Abkhazi Gardens, The Gentry Gallery, South Shore Gallery, Genoa Bay Gallery and the Lighthouse Gallery. Alison lives in the Gordon Head area of Saanich, close to Mount Douglas Park. She welcomes studio visits by appointement.